The newest franchise in Major League Soccer, the Montreal Impact, has carved out its niche pretty distinctly since inception in 2012. With strong ties to Serie A through multiple Italian players, Montreal has seen decent success for such a new franchise. They just missed the playoffs in their expansion year, and sneaked in as the five seed last year. But with the success has come another reputation: they already seem rather fond of changing coaches. Entering their third season of play, Montreal’s owner Joey Saputo is already onto his third manager, with Frank Klopas taking the wheel in 2014. 2013 Finish: 49 Points, 5th in Eastern Conference, Qualified for MLS Cup playoff, lost in conference play-in round. 2013 started out about as perfect as any Impact fan could have hoped. But the team then coughed, sputtered, and wheezed its way into the wildcard round of the postseason, where th e coughing and wheezing turned to seizing, and Montreal’s campaign met an early demise. Marco Schallibaum’s tenure started with a bang, as Montreal won each of its first four games by one tally each, all of them by a scoreline of 1-0 or 2-1. 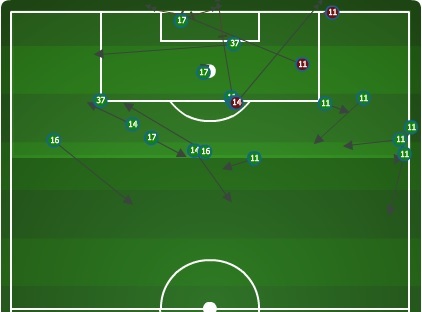 Those close, low-scoring victories figured to set the tone for the season—Montreal was a stout defensive team who would get bodies behind the ball and look to finish swift counter-attacks through Marco Di Vaio. This formula helped them to win the Canadian Championship for a second year running, qualifying them for next season’s CONCACAF Champions League. Unfortunately, their tactical secret wasn’t particularly well-kept throughout the league, as opposing teams figured out how to counter the Impact’s strategy after about the first third of the season. The regular season’s final 20 games saw only five Montreal victories, as they earned just a point per game during that span while simultaneously crashing out of last year’s CCL. Still, their hot start was enough to squeeze into the Eastern Conference knockout round, as they slipped into the five seed thanks to a superior goal difference to Chicago. But the luck would run out for Schallibaum and the French-Canadian club in a hurry, as they were beaten and outclassed by the Houston Dynamo in the do-or-die playoff, 3-0. The game was as damaging to Montreal’s reputation, too, as Nelson Rivas, Andres Romero and Di Vaio were all ejected for various infractions. The last moments of the match devolved into more of a cat-fight than a soccer match, with the men in blue performing the side of jealous aggressors. In the end, not only was the season over but so too was Schallibaum’s tenure in Montreal; he was fired a few weeks later. 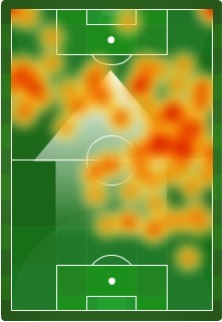 As outlined above, Montreal’s plan A, B and C last year was to get behind the ball, make it hard for opposition to score and then counter through Di Vaio and squeak out low-scoring victories. But other teams figured that out, and the Impact’s effectiveness waned as the season continued. With a new coach on board in Frank Klopas (formerly of the Chicago Fire), it’s likely that the side’s tactics will undergo an overhaul. What type of overhaul remains to be seen: Klopas’ teams in Chicago were, for lack of a better word, bleh. They weren’t a particularly high pressing team or an all-out possession attack, nor did they sit deep and only look to attack on the counter. They did a little of each of these things, but often did none of them well enough to be a real contender. I suppose from a Montreal fan’s standpoint, it might be better to have a team that can give multiple looks than the one-dimensional side last year, but I’m still not sure Klopas is the one to bring the club to the top. Turning to the players, there are some holes to be filled from last year. All-world defender Alessandro Nesta retired, leaving a combination of Nelson Rivas and Adrian Lopez to fill his shoes. Despite Nesta’s pedigree, he had lost a step or eight at his age, so replacing him shouldn’t be too huge of a concern – if those other guys can stay healthy. Also departed from last season was versatile midfielder, Davy Arnaud, whose leadership will be missed. Felipe Martins and Andres Romero both return and should hope to build on seasons in which they showed flashes of quality, if not consistency, in MLS.